IT consulting in Houston can help conserve resources while expanding professionalism and your ability to deal with internal issues. Help desk support from an internal solution will require an internal department… and all the annoyances that come with it. You’ll need proper hiring, firing, management, training, and expansion protocols. This will require training and will likely involve foisting protocol in areas where previously there was none. A small business with one or two IT people handling all issues is going to constantly come against delays. When these personnel must additionally handle their own help-desk support, eventually they can become so caught up in processing requests that they’re unable to get anything proactively accomplished without sourcing additional personnel, which becomes very quickly expensive. This is the natural state of things and a symptom of success, but without proper implementation, your success will mean clumsy lack-of-resolution when it comes to tech issues. Granted, there are proprietary protocols, operational requirements, and other aspects of operation which require security. Getting an exterior help desk need not necessarily encompass these internal functions. It’s possible to apportion help desk support to recurring issues of the “Level I” variety while keeping “Level III and IV” internal. It’s all going to hinge on what the individual needs of your company are. To that end, when you’re on the hunt for help desk support, you should look for several aspects of service provision. • Does your prospective help desk ask the right questions? • Is there a concentration in multiple tech disciplines from the help desk provider? • Can the help desk solution you’re considering work with multiple service levels? • Does this help desk option have clients in businesses similar to yours? • How well-established is the outsourced help desk provider? IT consulting in Houston is going to have all levels of proficiency. There will be top-tier options and some who would act as though they’re operating at high levels of proficiency but are actually not. This is one reason you’re going to have to do a little homework before you buy. When you’re looking at an exterior help desk, they should ask you some probing questions, things concerning what levels of support you’ll need, and what your call volumes look like at daily, weekly, and monthly intervals. You can buy too little or too much external help desk support— a professional organization will try to help you get it right before the rubber meets the road. Additionally, the help desk support you acquire should come from professionals who have expertise in more than one area of tech operations. This will help expedite help desk support calls across the board, especially with regards to common issues which, normally, make up a large quotient of help desk support calls. On that note, there should be an ability among the right external help desk support option to handle multiple levels of service. Some service levels may remain internal, but whoever you end up going with should be able to supply solutions in levels I, II, III and IV. If the solution you’re considering has clients in similar fields of business to your own, you can be assured they’ll be able to handle your needs. This goes hand-in-hand with established services— expect a few decades’ experience. IT consulting in Houston from HoustonTech incorporates many years’ service with multiple levels of tech support across expansive areas of tech development. Contact us for trustworthy, comprehensive solutions in IT, help desk support, and more. ← Is Your Managed IT Services Provider in Houston Giving You Unbiased Advice? HoustonTech is a Managed IT Services company specializing in IT Management and Support for small and medium-sized businesses. 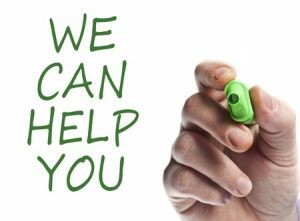 Our services include help desk support, email support, virtualization, onsite/offsite backup, proactive management of desktops and servers, Office365, cloud computing, VoIP, cloud PBX, and more. Our clients range from CPAs and accountants, doctors, and real estate developers, to credit unions, oil and gas companies, manufacturing companies, insurance firms and nonprofit organizations.